There have been many people waiting avidly for the release of HTC’s next EVO handset and at last we can now give you a confirmed release date of May 18 for the HTC EVO 4G LTE on Sprint. Although this date had been rumored previously, Sprint made the news official today so for those of you eager to get your hands on it there’s not too much longer to wait. The HTC EVO 4G LTE is an impressive Android smartphone and is the Sprint variant of the HTC One X, already released and proving a smash hit. Although the EVO 4G LTE is, as its name suggests, LTE-equipped the Sprint LTE network is not yet up and running. Nevertheless there is plenty to attract people to this phone before it can start making use of its LTE capabilities. We had previously reported the May 18 release date following leaks from some marketing materials so its good to see this now confirmed by Sprint itself. The price will be $199.99 on the usual two-year contract and its sleek and stylish design will surely have mass appeal. Summarizing the key specs and features we can tell you that the HTC EVO 4G LTE has a 1.5GHz Snapdragon S4 dual-core processor, 4.7-inch Super LCD HD display, 8-megapixel camera featuring HTC ImageSense technology along with a 1.3-megapixel front-facing camera. It has 1GB of RAM, 16GB of internal storage, NFC support, a 2000mAh battery and runs on Android 4.0 ICS skinned with HTC Sense 4.0. News of the official release date announcement comes from BGR where you can also see the official Sprint press release for this smartphone. Pre-orders are already available at this Sprint product page where you’ll also find plenty more information about this notable smartphone. Those who purchase the HTC EVO 4G LTE are able to use the Sprint Everything Data plans beginning at $79.99 monthly. Sprint’s 4G LTE network and enhanced 3G service is expected to arrive in Atlanta, Baltimore, Dallas, Houston, Kansas City and San Antonio by the middle of this year. You may also be interested in the video that we have embedded below this story showing a hands-on experience and first look at the EVO 4G LTE. 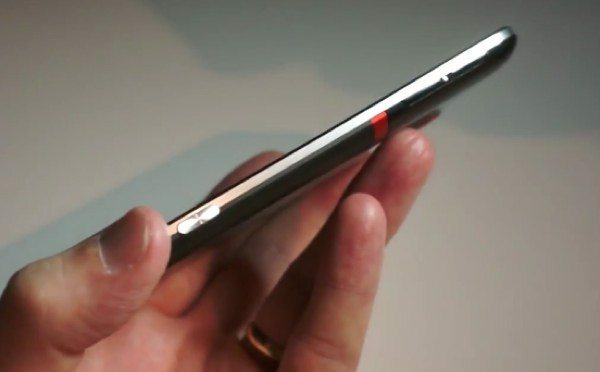 Have you been waiting for the official release date for the HTC EVO 4G LTE? What has made you choose this smartphone over others such as the Samsung Galaxy S3? Let us know with your comments. One of my biggest issues with my EVO is lack of storage.Â I only have access to 440 mb of internal storage and the phone will only allow certain apps to be stored on the SD card.Â The LTE has 16 gb, with somewhere between 12 and 13 gb available for use.Â That is a HUGE difference! when does this hit the UK?